its a part of the cell cycle by which chromosomes in a cell nucleus are separated into two identical sets of chromosomes, in each nucleus. the second stage of cell division, between prophase and anaphase, during which the chromosomes become attached to the spindle fibers. the stage of meiotic or mitotic cell division in which the chromosomes move away from one another to opposite poles of the spindle. 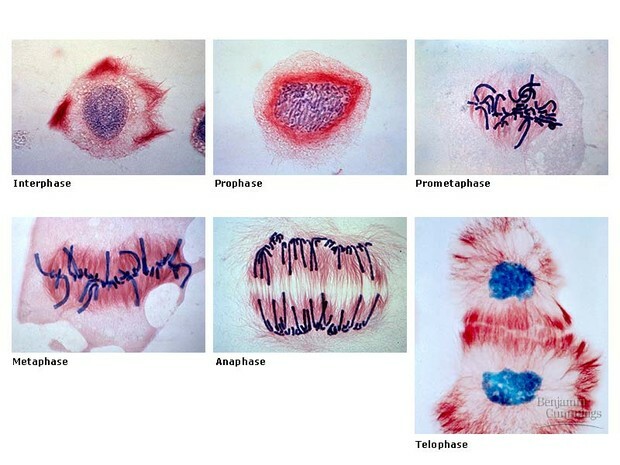 the final phase of cell division, between anaphase and interphase, in which the chromatids or chromosomes move to opposite ends of the cell and two nuclei are formed.